Happy Tuesday to you! 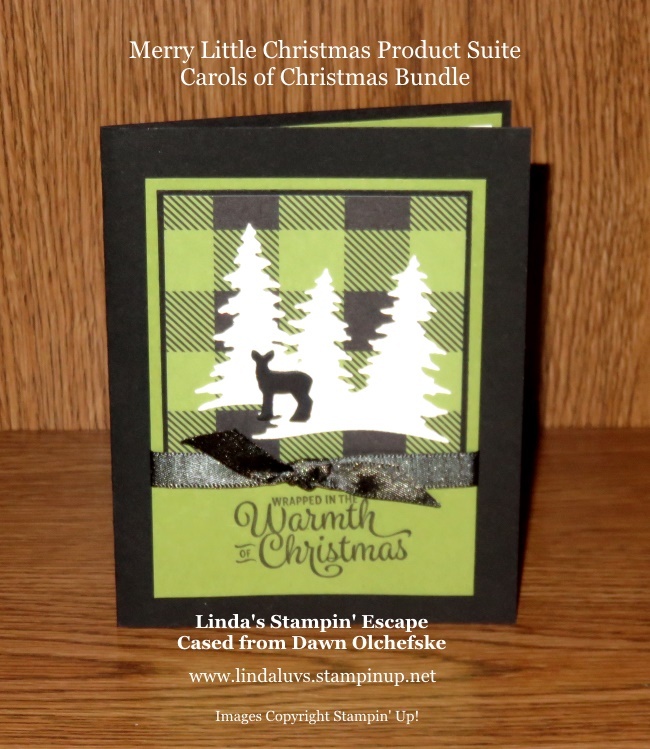 Today I have double the “Carols of Christmas” from the Merry Little Christmas Product Suite, one of which is the winner from our 2017 Holiday Stampin’ Retreat. The “Merry Little Christmas” Designer Series paper is the backdrop to this card. The focal point is created by cutting the trees from the “Card Front Builder” Thinlits Dies out of Dazzling Diamonds Glimmer Paper … the deer in black to coordinate with the rest of the card. 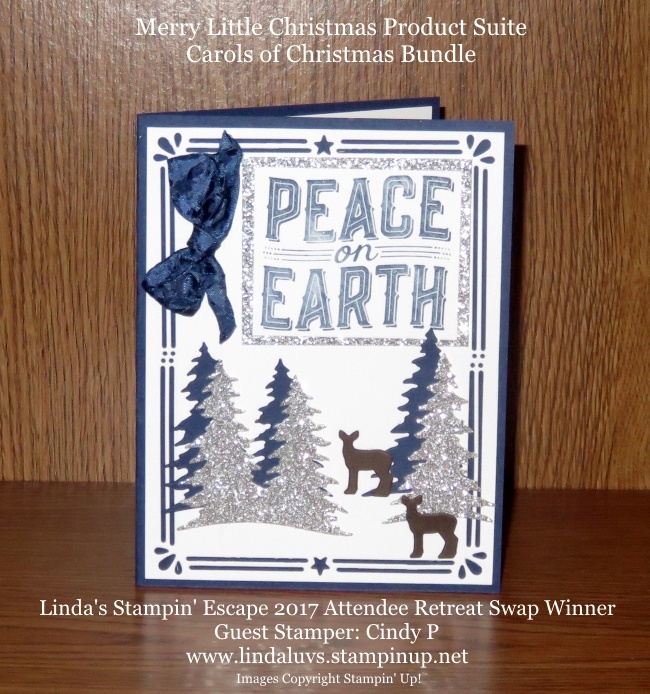 Next, I’d like to share with you the Winner of our Attendee Swap at our Holiday Retreat this year … Guest Stamper: Cindy P.
Our retreat attendee’s vote for the swap cards they like best and the winner receives a Gift Certificate from me to do a little extra Christmas Shopping from the catalog. Cindy used the “Carols of Christmas” bundle from our Holiday Catalog … stunning! I love the Night of Navy tree’s behind the Silver Glimmer trees, it appears as a shadow and really makes the silver pop! Thank you for stopping by today, hope your day is double the fun!